CRKT 1120 Elishewitz Anubis Automatic Knife with a Beadblast Blade. This CRKT automatic knife is overall open length 8.125 inches in length with a 3.5 inch AUS-8 58-59 RC Hollow Grind Drop Point Stainless Steel Plain Blade. 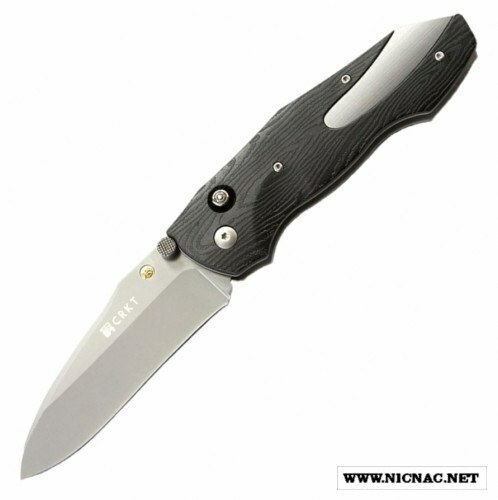 It is designed by Allen Elishewitz, Made inTaiwan and comes with a Tip Down Pocket Clip.